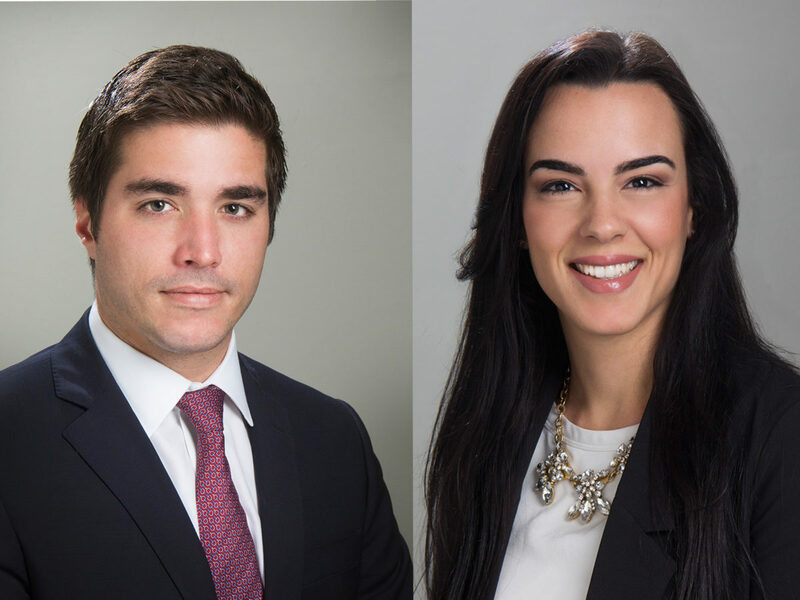 The Allen Morris Company, one of the largest diversified real estate firms in the southeast, is pleased to announce that Jose Rafael del Rosal and Maricarmen Cabrera have joined the firm’s Brokerage Service Division. As the firm’s Commercial Associate/Analyst, Del Rosal focuses on sales and lease negotiations working with buyers, sellers, landlords and tenants. Along with holding a Master of Science in International Real Estate from Florida International University, Del Rosal has the network, background, and ability to see any project to its end and has a strong understanding of what motivates each side and how to use that information to meet or exceed the client’s expectations and investment objectives. Before joining The Allen Morris Company, Del Rosal served as Operations Manager for a contracting business specializing in emergency loss mitigation services and structural restoration to buildings located in South Florida. Prior to that, Del Rosal served as a Client Service Associate for Morgan Stanley Wealth Management, located in Aventura, Florida, where he managed daily operations for international clientele as well as assisted with wealth management services and researched mutual funds, exchange-traded funds and equity, financial ratios and comparables through Bloomberg and Thompson Reuter, amongst other duties. In her role, Cabrera provides commercial leasing assistance for tenant and landlord representation as well as investment sales for both buyers and sellers, ensuring that each client’s requirements are timely delivered with optimal results. Working alongside the company’s senior brokerage leaders has equipped Cabrera with the skills and knowledge needed to excel in the industry. Through extensive market knowledge, analysis and customized counsel, Cabrera helps individuals and businesses accomplish or exceed their real estate goals. Prior to joining The Allen Morris Company, Cabrera worked at Interval International, a leading global company that operates membership programs for vacationers and provides value-added services to its international roster of developer clients. In her years at Interval International, she served as HRSM manager, Recruiting Administrator, HRSM Supervisor, and HRSM Coordinator.